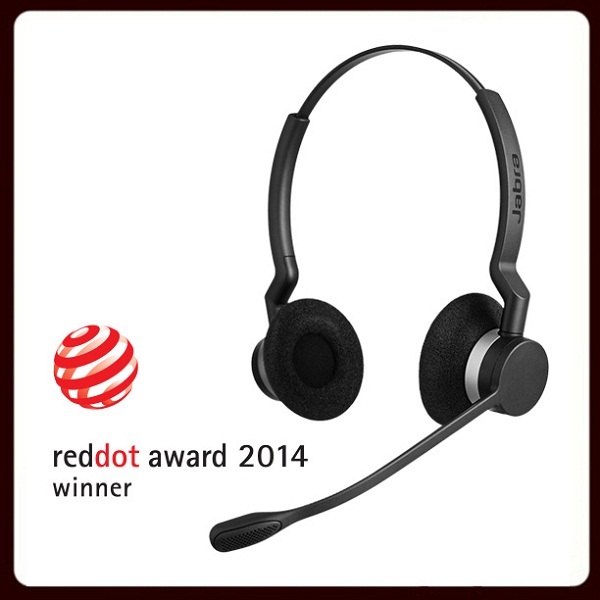 Jabra announced that the Jabra BIZ 2300 headset has been awarded the prestigious Red Dot Award 2014. The BIZ 2300 headset has been specifically created with the large scale in-house customer support centers in mind and marks a drastic change in the way Jabra headsets are developed and designed. With up to 50% better noise cancellation and 20% lighter compared to competition, Kevlar cords, and mass deployment-ready, the Jabra BIZ 2300 beats competition on all key parameters. It also outperformed on the parameter of a lower total cost of ownership - considering the deployment cost, life time and repairs that can occur. “With the BIZ 2300, we challenged ourselves to reinvent the corded headset. This has resulted in a headset which, in terms of functionality and esthetics, satisfies the requests and demands of the end-user and the industry alike. We are very excited that our efforts have been recognized by Red Dot,” said Holger Reisinger, Jabra Vice President of Marketing, Products and Alliances. The Jabra BIZ 2300 has the potential to become a classic in Jabra corded headset design. During the design process, Jabra went the extra mile to ensure that the headset would become a success, not only for the procurement department, but for the end-user as well. The new and intense design process of the Jabra BIZ 2300 was kicked off in North America. Here, the international design agency, Designit, and Jabra’s R&D team sought to find out what the contact center staff actually felt about their devices and their use. This meant spending a significant amount of time interviewing employees about their everyday needs, and the results have yielded interesting conclusions. The Red Dot award has existed since 1954 and is one of the most highly esteemed international design awards within the world of design.